Cognac, a branch of the brandy family tree made from distilled white wine from the Charente region of France (right by the town of—you guessed it—Cognac) but is most widely known for being wildly expensive and enjoyed by famous rappers or rich people with a Bond villain level of income. But today more than ever, the liquor market is more accessible than ever and even beginning drinkers just dipping their toes into the liquor pool can get a decent Cognac and still go to college. Before we get started, a note about Cognac rating: Cognac that is rated VS (very special) or three stars has been aged at least two years. VSOP either stands for very special old pale or very superior old pale and is aged for at least four years. It can also be referred to as ‘Reserve’ or ‘Old’. The last rating, XO or Napoleon, is aged at least six years. The number of years distilled refers to the least distilled wine in the blend, so most of the spirits in each Cognac have been distilled for much longer. For the sake of cocktails, I would steer away from the oldest, more expensive cocktails. Those are best enjoyed by themselves as you relax in your private library in a Heffner-style smoking jacket. 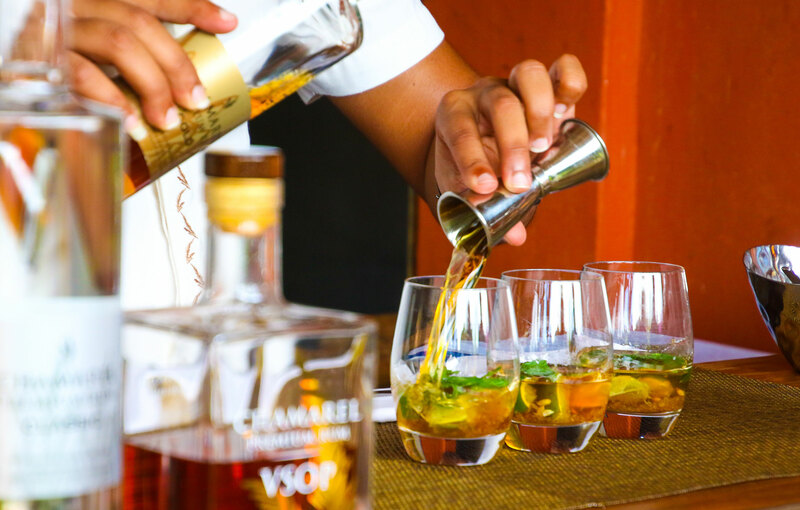 For cocktails, the somewhat thinner VS and VSOP ratings are better price and their flavors will better complement the mixers. The Sidecar is the classic Cognac cocktail. 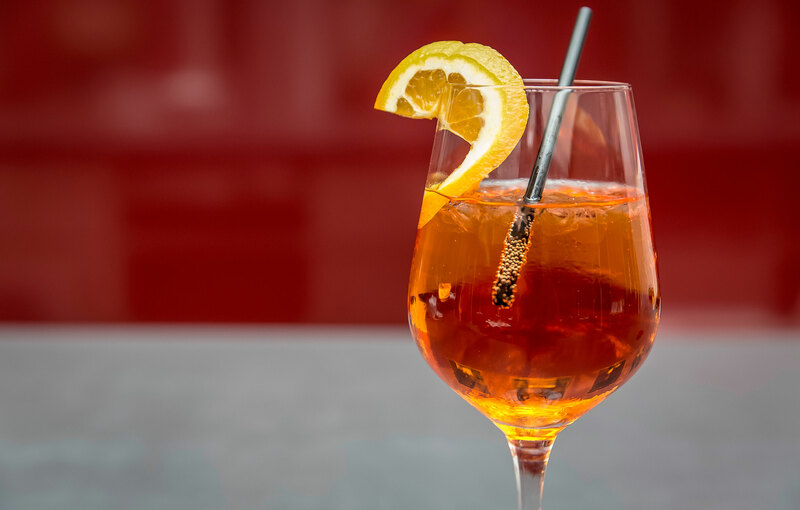 Its history goes back to just after WWI, where the bartenders at the now-famous Harry’s Bar in Paris came up with citrusy blend as a post war celebration drink that originally involved brandy. Combine ingredients into mixing tin. Add ice and shake; strain into chilled martini glass with or without sugared rim. For those who are too far gone for Bloody Marys, this hair of the dog cocktail may do the trick. While the gin-based Corpse Reviver #2 has become more popular, the apple and Cognac flavors of the original mingle with surprising depth. Take one by mouth before 10AM. If hangover persists, repeat. Add all the ingredients to a shaker with ice and mix. Strain into a cocktail glass. It’s like a cognac chocolate milkshake! For those with a sweet tooth, this is the perfect dessert cocktail for a hot day. The Brandy Alexander was also John Lennon’s favorite drink. Add the spirits and heavy cream to a shaker with ice. Strain into a chilled cocktail glass and sprinkle grated nutmeg on the top. In modern times, many people opt for rye whiskey in their Sazerac. Some may even cut their cognac with whiskey. They would be wrong. This sweet, spicy classic is best enjoyed as it was originally mixed in 1840: with cognac, as the good lord intended. First, rinse a chilled rocks glass with a splash of absinthe or Herbsaint. Place the sugar cube in the bottom of a separate mixing glass, add the bitters, and crush the sugar cube. Add the cognac into a mixing glass with ice and stir until chilled. Strain into the chilled, absinthe or Herbsaint-washed glass and garnish with a lemon twist. This two-ingredient drink, like the movie of the same place is deceptively complex. The heavy flavors of the Cognac balance out the nutty sweetness of the Amaretto Liqueur and both of them offer depth to the other’s flavors. Pour all the ingredients into an Old Fashioned glass over rocks and stir. This French Quarter drink (the name Vieux Carre refers to the French Quarter) is ostensibly New Orleans. This mixture of mostly booze is a powerful drink, that follows a boozy punch with a surprisingly complex blend of flavors. One can almost hear the brass of Mardi Gras after each sip. Simply stir all the ingredients together with ice in a chilled rocks glass. Rub down the rim of the glass with the lemon twist then drop that bad boy into drink as garnish. Sure, you want to try out all these recipes, but I wouldn’t waste a bottle of Hennessy Beaute du Siecle Cognac (priced at about $200,000) mixing up cocktails. At the same time, I also wouldn’t rush to the bottom shelf for a cheap mixer. These days, there are plenty of priceworthy cognacs available that are just made to be mixed. This respectable bottle’s light flavors make it an ideal Sidecar ingredient. It is a balanced drink with rich nut and oak flavors. At a little over $30, Remy Martin VSOP is a steal. While not aged as long as some other drinks, the combination of woody, fruit, and hint of vanilla flavors make it a great addition to less fruity cocktails. One downside is that, because of the lack of aging, it can be a little sharp, but at $34.99, it is very much worth it. Don’t let the French name scare you. This VSOP only goes for around $44. The smoothness alone, would make it worth it. The flavors of brown sugar, vanilla, cocoa, hazelnut and oak are simply bonuses. At $60, this is the most expensive bottle on our list, however, no list of Cognacs would be complete with the king of Cognac brands. Like all good Cognacs, Hennessey Privilege is smooth. To this, light flavors of honey and spice make this a good solo drink and a great mixer. Unlike a lot of other VS or VSOP brands, H by Hine does add a lot of sweetness to their Cognac, making it great for cocktails with sweeter ingredients. At $45, this is a standard for any young professional’s liquor cabinet. Perhaps the prices of the other Cognacs on this list have made you give up all hope of ever getting your hands on a decent bottle. One way around that is to buy the smaller-sized airplane bottles another is the Maison Rogue VSOP Cognac. This bottle does cost $20, so you may be making some compromises, but it is a VSOP and it does offer a pleasant blend of walnut and cinnamon flavors.